One of the great things about being a member of BOD is that authors and fans get to interact and share together in their love for all things dystopian. We have so many wonderful authors on BOD. 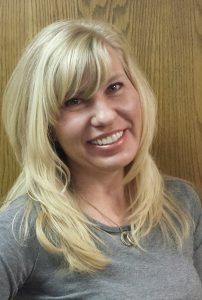 It is my great pleasure to introduce, for those who don’t know her, and for those who do, to become more acquainted with her, one of our author members: Casey Hays! Welcome, and thank you for being a part of BOD’s author interviews. Thank you! I was really excited when I saw you were going to be interviewing authors. I had to jump at the chance to talk with the wonderful Angie Taylor! Well, thank you. It’s my pleasure. Now, Casey, tell us a little about yourself. How long have you been a writer? When did you first know you wanted to write books? What kind of stories do you like to write? I’ve been writing since I was a little girl, probably around age 8 or 9. When I was 11, my mom bought me a journal, and instead of using it for its intended purpose, I wrote my first novel, with illustrations. It was long and boring about a girl going through the wiles of life from her first kiss to her death. Not very creative and not a bit interesting! I’ve since learned what I want as a reader, and thus, what many readers want from me as a writer. The first inclination that I was going to become a writer was during my stint as an English Composition and Literature teacher. During the 2006-07 school year, a little genre called YA cropped its head and soared in popularity with the Twilight books shoving the door wide open. And suddenly, I thought to myself, “I could do that! I could write books for teens!” And so…I wrote my first YA Supernatural Romance, The Cadence. And voila! I was suddenly a writer. I’ll read lots of genres, but I love writing YA. I love adding in a bit of the supernatural in every book, too, including my dystopian series. I like exploring the ideas of super-human abilities. I like creating characters who have an extra flare, and so I will always include a few in my stories. Sometimes, they’re only background characters or sidekicks; other times I have a main character with the ability to feel someone’s emotions by simply touching them, or some other such anomaly. It’s fun to create these people who can do things I can’t. I also enjoy sculpting a strong female lead who can take care of herself and stand on her own but who still contains a softness about her that attracts a leading male. I always like there to be a hint of vulnerability in my characters because in the end, that’s what makes all of us human. I like to pair a healthy balance of stubborn feminism with a dose of submissiveness. I want to show my younger female audience especially that you can be instilled with both qualities and be that much better for it. So fun! I love that you started so young! Why don’t you tell us about your latest book, Breeder. Breeder, is the first novel in the Arrow’s Flight Series, and my favorite of all my books so far. It’s the story of Kate, a sixteen year old girl living in a primitive village after the Fall destroyed the Earth and left her village the only one standing. She is assigned to become a breeder early in the novel, and her story unfolds from there. She’s a rebel, and she finds herself in a world of trouble when she refuses to follow the rules. It was a fun journey. How do you think the characters of Breeder relate, or don’t relate, to readers? Kate is a strong girl with a stubborn will, coupled with a sincere empathy for the hurting. I think a lot of women could relate to her. She has a moral compass that causes her to stand up for what she believes is right rather than comply with the village mandates. And this even at the risk of severe punishment for disobeying the rules. She’s compassionate . . . and selfish. Hard-nosed . . . and tender. Again, something many people find within. Trying to do good, but evil’s right up there alongside it. Kate struggles with this in her own life. Ian is a young, scared boy who has his issues. But he also has no clue what’s just become of his life when he awakens in the breeding Pit. He’s a typical teen, with mood swings and a bad attitude, but so loveable at the same time. He’s very immature in the beginning of the first novel, and purposely so. Because by the end, he has begun to mature. And in the sequel, he evolves into a confident, well-rounded character who lets his fears motivate him instead of control him. Let’s hope not. Mona is the villain you love to hate. What do you want readers to take away, or to think about as a result of reading Breeder? I hope that readers see the moral backdrop. I hope they see that Kate’s decisions are based on her desire to maintain a sense of dignity in a place where such things no longer seem to exist. I’d like readers to recognize that she stands up against injustice even when she’s standing all by herself for most of the novel. To understand Kate’s sense of freedom and her desire to have a say about her life. To see that she questions the human condition, and that we as readers should do the same. And lastly, that anyone can be a survivor, but it takes something much deeper to be an overcomer. This is my ultimate plan for Kate and Ian by the end of the series. What can you tell us about the sequel, The Archer? My editors and I are finishing the last set of revisions before the big release! And I love the continuation of Kate’s story! It’s very scary to write a sequel. I know that readers will be looking for a certain standard in the second book, and I worked very hard to recapture my characters and maintain the same voice. I think I achieved it. And although this book is very different from Breeder in the sense that things have drastically changed for Kate, and a whole new adventure awaits her, she’s still Kate. She’s the same strong girl we left in Breeder, but very much out of her element. 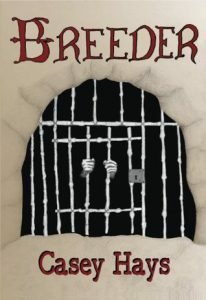 I can’t really say too much without giving away things for readers who haven’t read Breeder yet, so I’ll leave it at that. When are we going to be able to read it? We’ll keep our fingers crossed that it’s sooner than later. Now for some random fun facts about you. If you could be any literary character, who would it be and why? I suppose I might want to be Hadassah from the Mark of the Lion Series by Francine Rivers. I have never seen anyone go through so much and still be so faithful to God. I would like to be that kind of person when the time comes. And there has never been anyone loved the way she was loved by her man. Wow! Talk about a tearjerker! I highly recommend the books. I’ll have to add them to my TBR list. Okay, one last question. What is the first book you read that made you love reading? The first books I remember reading were the Little House on the Prairie series. I loved them, and they made me want to read everything afterwards. Spoken like a true bookaholic. Now Casey, you have a chance to ask fellow BOD members a question. Their answers, in the comments below, will be one of the entries for the Rafflecopter drawing for a free signed hard copy of Breeder. Oh, fun! Okay. If someone wrote a book about you, what would be the title and why? You heard her fellow BOD members, give us your answers below. Be sure to check out Casey’s books, and keep in mind, The Archer, the sequel to Breeder, comes out this October! Thank you so much, Casey, for sharing your awesome time and talents with us!